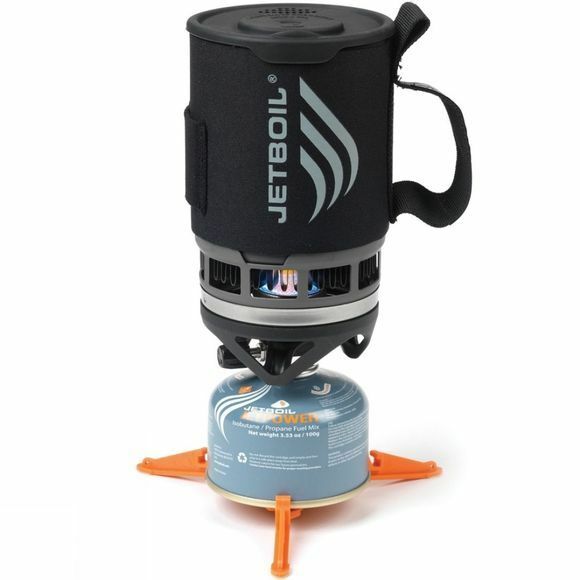 The Zip Cooking System from Jetboil delivers incredibly efficient heat and ease of use. The burner attaches simply into the base of the cup, whose FluxRing heat exchanger then makes short work of boiling the cup's contents: just two and a half minutes to boil half a litre. The protective base can be used as a bowl (or measuring cup), so one Zip can be used for two peoples' lunch. A stabilising tripod keeps the whole assembly rock solid.